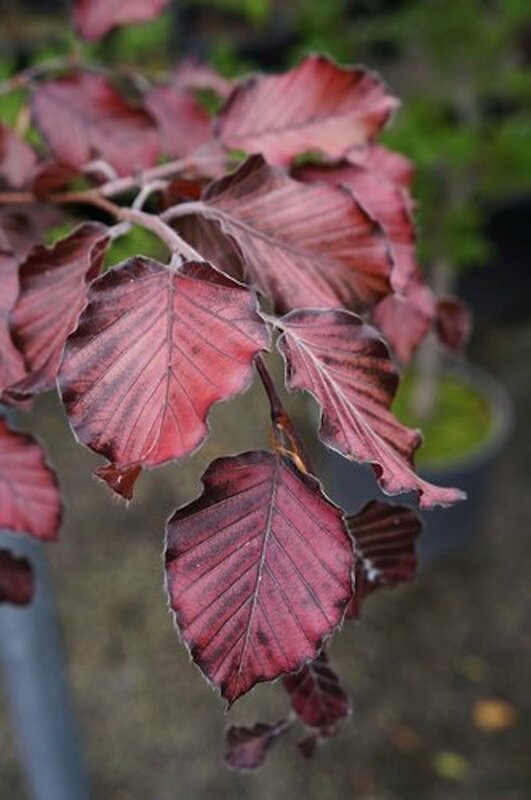 Selected for its very large, attractive deep purple leaves, Riversii (Fagus sylvatica 'Riversii') is the best dark purple beech of all. A large tree, expect a height pf over 6 metres (20 foot) after 10 years. Supplied at a height of between 1.2 and 1,5 metres in a 12 litre container for year round planting.